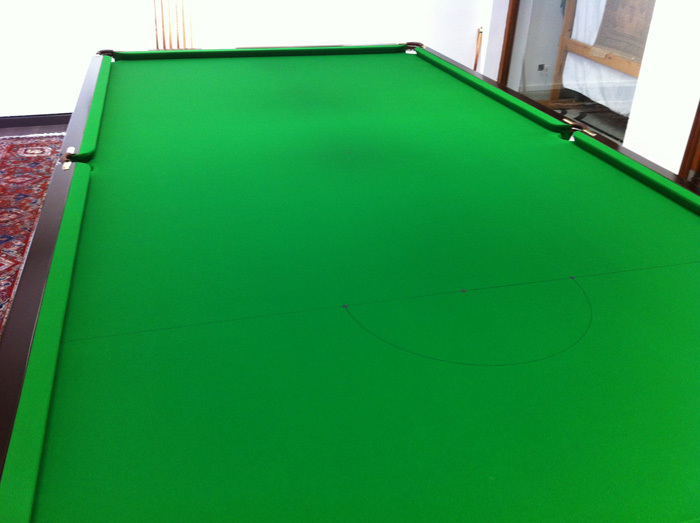 Econ pool and snooker can undertake both small and major billiard table slate repairs, we have repaired various table slates on the Costa del Sol, on this page you can see some information and images from some pool and snooker table slate repairs we have undertaken. 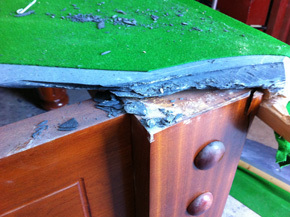 In general it is extremely difficult to repair a slate so it is exactly as it was before it was broken although generally in most cases if the project is undertaken properly the slate should play as well as it did before it was broken or damaged but we guarantee that if anyone where to play on a table whose slate we have repaired that the player will not know the slate has been repaired unless they are told. 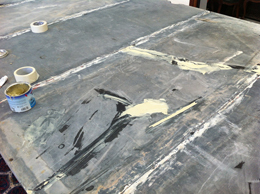 One of the main secrets of repairing a slate as best and flat as possible is to spend a lot of time in the preparation of the damaged slate before the bonding compound is used to bond all of the pieces together, once the bonding compound has been applied the slate pieces cannot be moved, once set there there is no way back and before the bonding resin has been applied the slate sections must all be flat and at exactly the same level, any slight difference will mean the slate will not actually have a flat surface which is not much good to the player. Full size snooker table Marbella, 2 broken slates repaired! 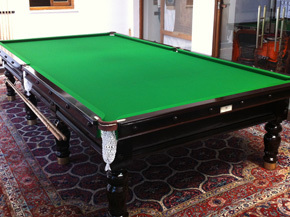 This is a slate bed from a 45mm thick full size snooker table which consists of 5 slates that are 1 7/8 inches thick. 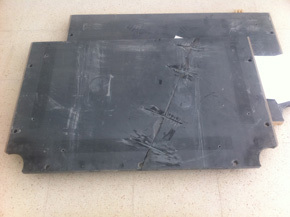 These slates where transported by the owner from the middle east, the slates where crated individually but 2 slates where compleately broken on arrival in Spain, the joint edges where also damaged from moving the table various times throughout the many years the table has. 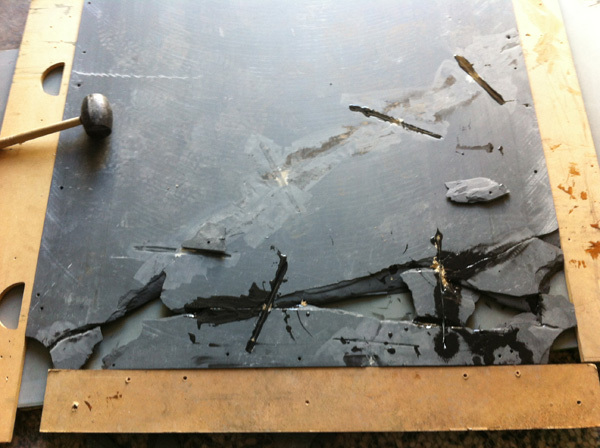 We repaired these slates on location, looking at the images on the extream right you would think the slate could not possibly be flat and smooth... but they are and once the slate is covered the table played perfectly so no one would actually know these slates had been repaired unless they where told. 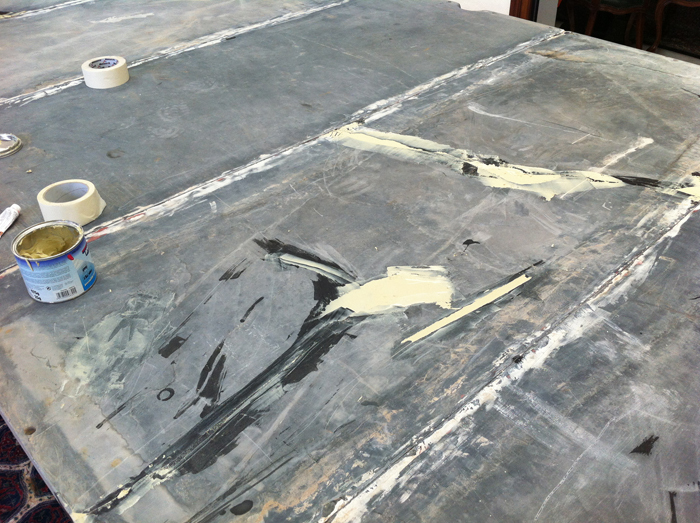 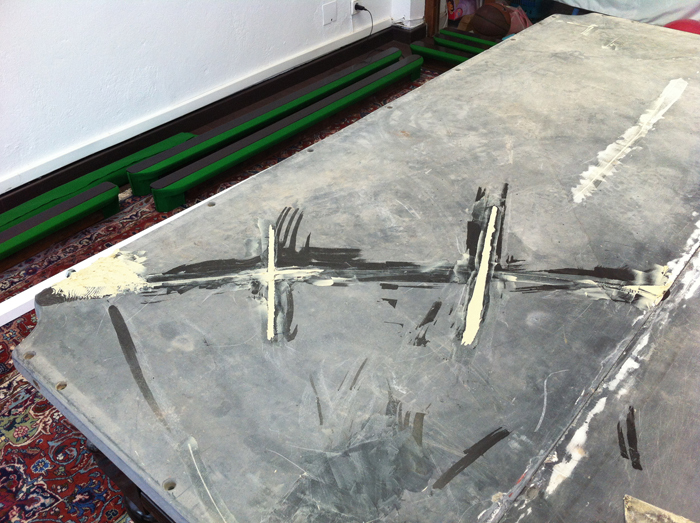 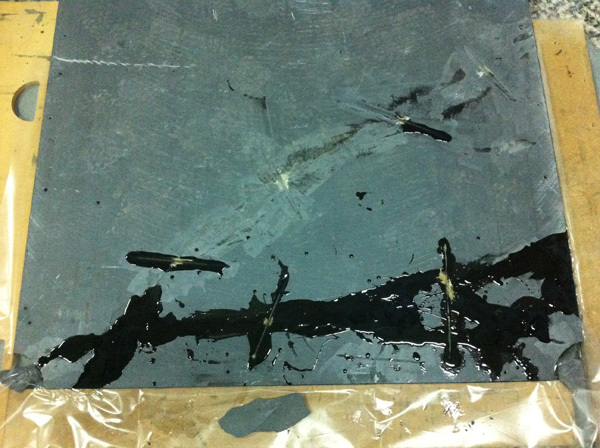 These slates are repaired as separate items so the table can be dismantled again and fitted as normal. One of the slates in process of being set. 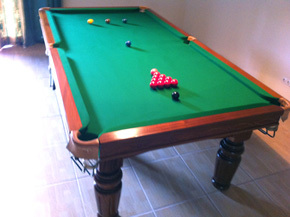 The slate bonded and filled. 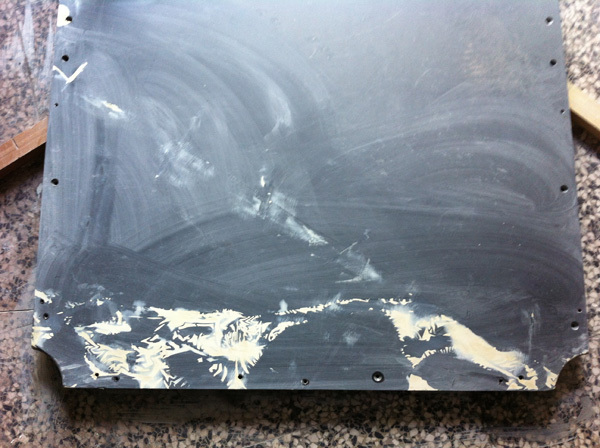 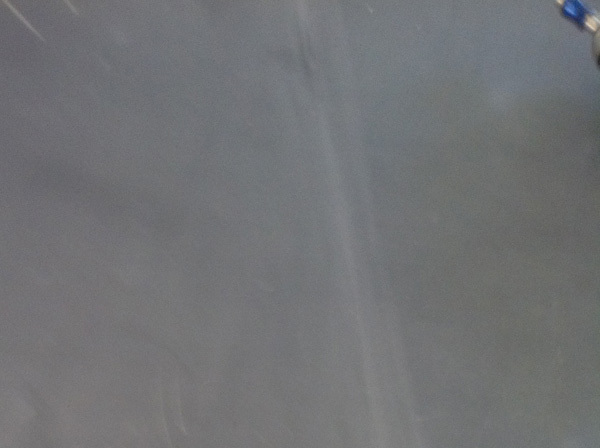 The slate after being sanded flat. Second slate in process of being set. 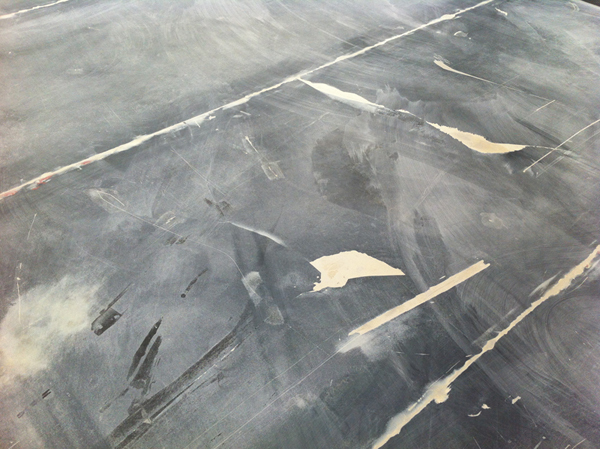 The slate being sanded down flat. 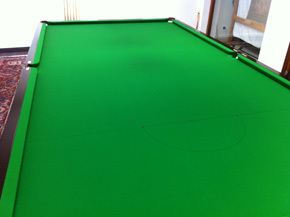 Close up of the table being clothed. 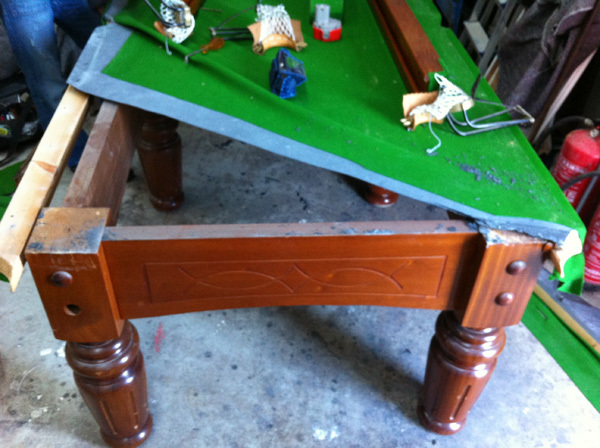 The table clothed and finished. 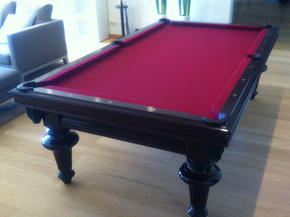 Pool table Marbella, a broken slate repaired! This is a slate from a 25mm thick 3 slate American pool table where a slate was fractured when builders 'man handled' this table across a room so they could lift new floor tiles, the result was a hair fracture in one of the slates (This could be seen as we dismantle the table), what seems to have happened was by applying pressure on the cushion to lift the table the builders actually caused a fracture that ran out out from one of the screw fixings. This is a good reason why people should not try and move billiard tables unless they know what they are doing as it can lead to costly repairs. 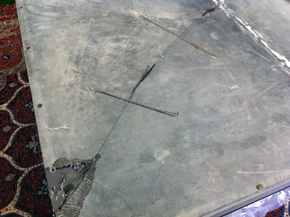 You can see in the images some of the stages of the repair, after the broken slate was prepared it was set so it was sitting perfectly flat and matched to its other half then steel rods where added with two pack bonding resin to bond the two peices of slate, when set and sanded a hard filler was applied and then the repair sanded down flat again. Once the table was recovered a player would never know the slate had been repaired on this table unless they where told. Slate fracture visible on dismantle. 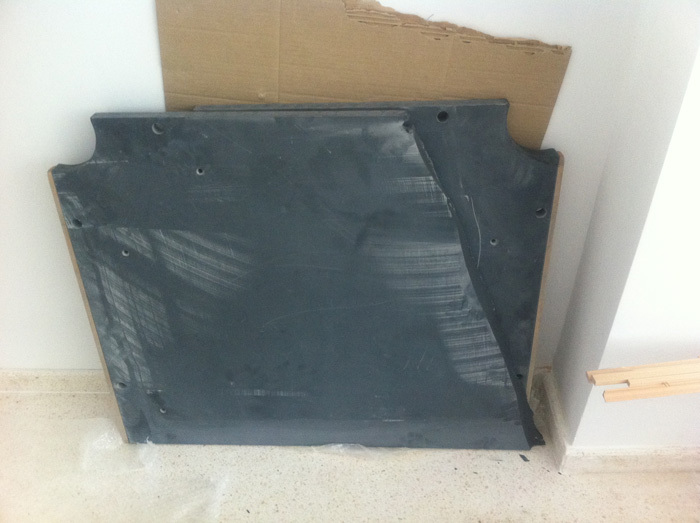 The slate in 2 pieces. 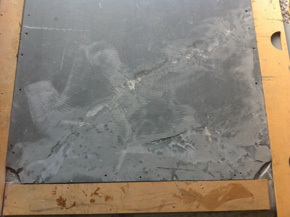 Slate prepared to be bonded. Close up of prep work (Underside). 8' snooker table with smashed slate, repaired. This is a 19mm thick 1 piece slate from an 8 ft snooker table, it seems the the table was transported from the UK assembled! The slate was not just broken but totally smashed at one end, while this probably happened in storage the slate also suffered a fracture through a 1/3 section, this was probably from the same impact that caused the most damage although the fracture might also have happened while the table was transported in one piece 'Assembled', the correct way to transport a billiard table is to have it dismantled before transporting. 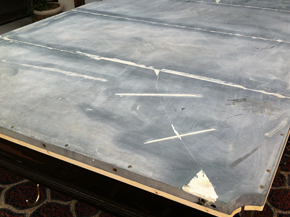 You can see in the images of different stages of the repair. 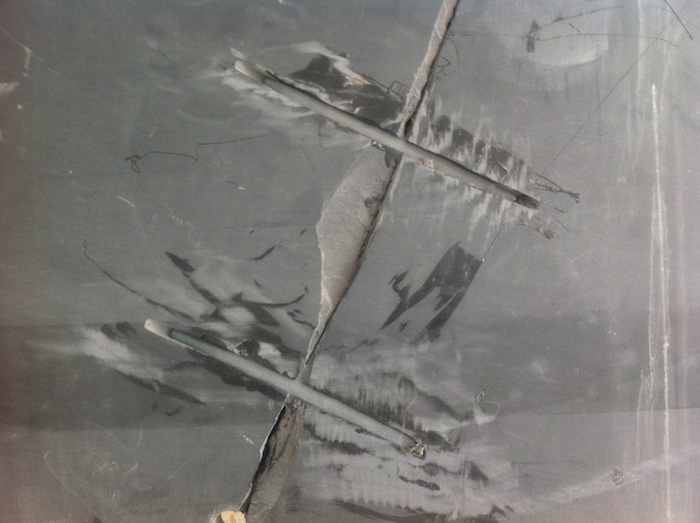 The two sections where bonded together and then the smashed end was rebuilt with the pieces of slate and resin then sanded down, filled then sanded to a flat smooth finish. 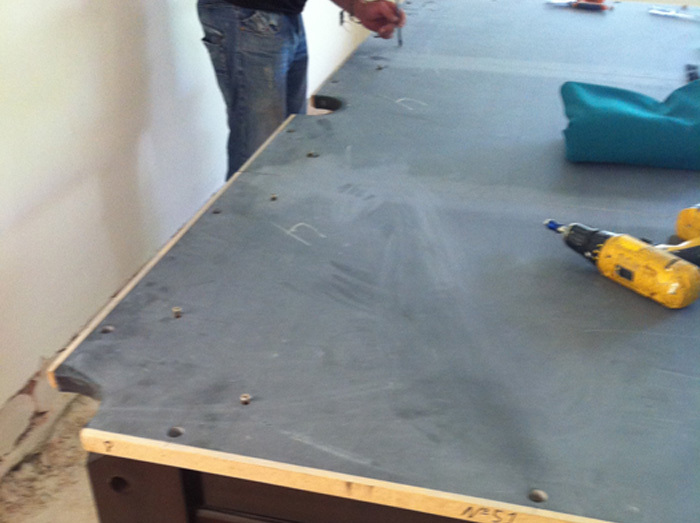 New fixing holes where drilled in the slate in the repaired areas for the cushion fixing screws and tacking timbers. 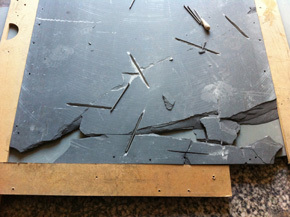 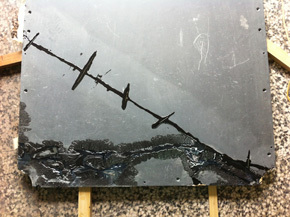 Underside of slate during repair. 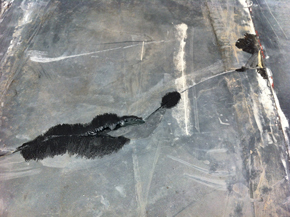 Slate repair on Top surface.